We field inquiries literally from all over the world regarding amblyopia treatment for adults. The question is always the same: Am I too old to get treatment for my lazy eye? Our answer is always the same: People of all ages can be treated for amblyopia. Can amblyopia (lazy eye) be treated at all? Is there an age cut-off for treatment? To answer both questions, we must first define amblyopia, or lazy eye. Amblyopia is a condition in which one (or both) eye(s) has poorer visual acuity than expected with prescription lenses. The “lazy eye” nickname is derived from the thought that the eye with clearer vision must do the bulk of seeing. Many people confuse lazy eye with strabismus, which can be “crossed eyes” or any type of eye turn. They shouldn’t, because it is a separate condition that can exist with or without strabismus. The issue is that one eye just isn’t seeing clearly. Why? Due to high amounts of nearsightedness, farsightedness, astigmatism and/or the presence of a constant eye turn, the brain has suppressed (turned off) the information in that eye and this suppression negatively impacts the development of clear vision. Normally, the brain receives two images at slightly different angles and it combines them to produce a 3D image. That's not the case with amblyopia. With amblyopia, the brain suppresses one of these images and this negatively impacts a person’s binocular vision. He or she may have a number of functional vision problems, such as poor depth perception and poor eye tracking. Here we detail how amblyopia affects your binocular vision. Can Amblyopia Be Treated At All? Amblyopia can be treated because the brain has “plasticity.” The circuitry of the brain can actually change at any age. We use vision therapy to retrain the visual system. 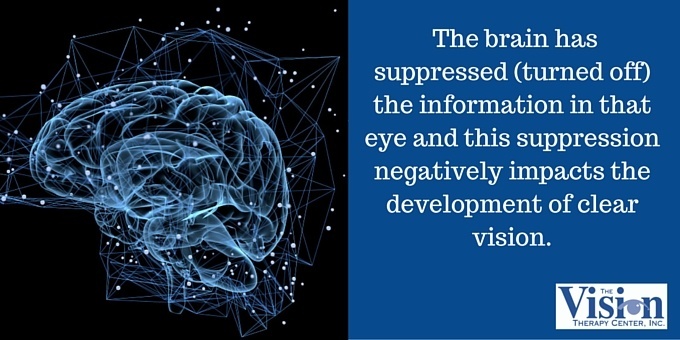 This includes not only the eyes, but also the brain and the visual pathways. Without a doubt, vision therapy is most effective when it’s administered at an early age. The plasticity of the brain generally decreases as a person ages. We see this everyday, with adult patients who have adapted and persevered despite their vision problems. That doesn’t mean it has been easy; for example, we might see a college student who gets good grades, but has to spend twice as much time studying as his peers. The researchers believed the cats would not recover their stereovision because they were beyond the critical period of vision development, which is approximately ages two to eight. We now know that the end of the critical period means that treatment of amblyopia will be more difficult, but not impossible. In her book, Dr. Barry offers up an amazing example of an amblyopic who experienced the brain’s plasticity at an older age. “One of my friends, nicknamed Red Greene, discovered for himself the intimate relationship between where his eyes were aiming and where he located objects in space. Although Red was a housepainter who climbed ladders and painted houses for many years, he was amblyopic: Since early childhood, he had very poor vision in his right eye. 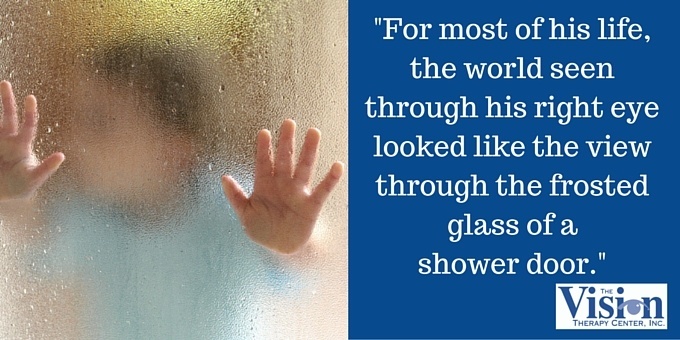 For most of his life, the world seen through his right eye looked like the view through the frosted glass of a shower door. Evidence lurking in the scientific literature for at least the last half-century indicates that amblyopia can be treated in adulthood. As early as 1957, Carl Kupfer published a study in which he showed dramatic improvements in adult amblyopes after a four-week period of patching combined with vision therapy. In a 1977 study, Martin Birnbaum and his colleagues reviewed twenty-three published studies on amblyopia and reported that improvements in eyesight were found for all ages. Sadly, these and other studies continue to be overlooked. Many doctors still believe that amblyopia can be treated only in young children. So we circle back to the big question: Can adults be treated for amblyopia? Absolutely. You've read about Dr. Barry's experience, and here's at great video from a colleague, Dr. Dan Fortenbacher of WOW Vision Therapy. The good news for adults with amblyopia is that there is a possibility for improved vision. But there are no guarantees. Every case is different, and every patient must be thoroughly evaluated through a Functional Vision Test. However, we strongly encourage you to visit a Developmental Optometrist and see if treatment is possible for you. If you live in Wisconsin, contact The Vision Therapy Center. 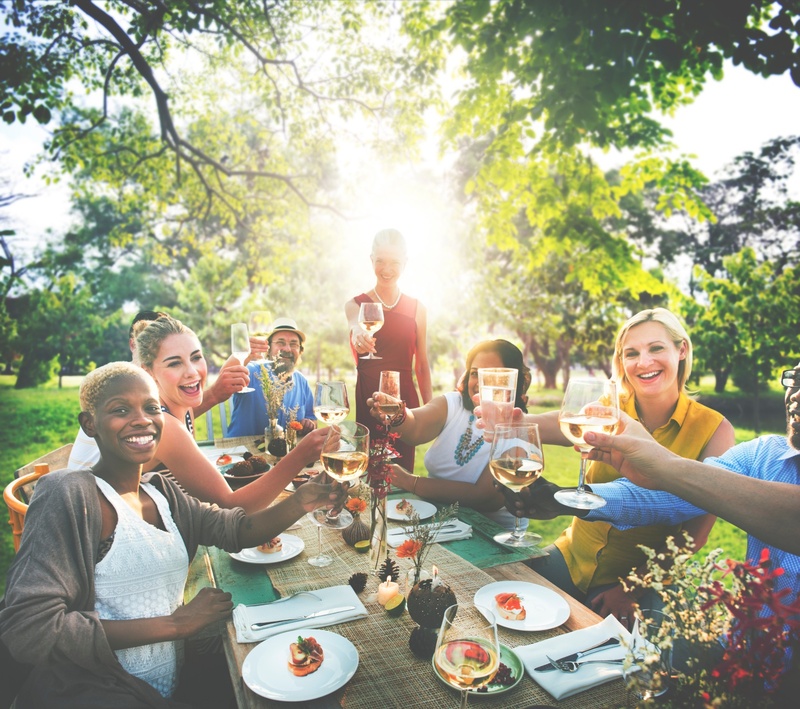 If you live outside Wisconsin and/or the United States, this article can provide you with links to Developmental Optometrists all over the world.